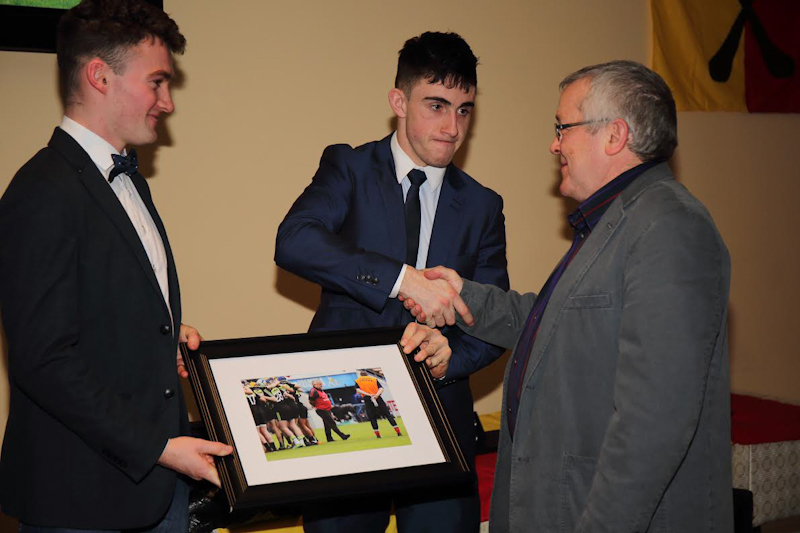 Corey Scahill and Sean Mulroy presenting John Waldron with a photo of the u21 all ireland final in Thurles for his work as manger of the mayo u21 Hurling team. 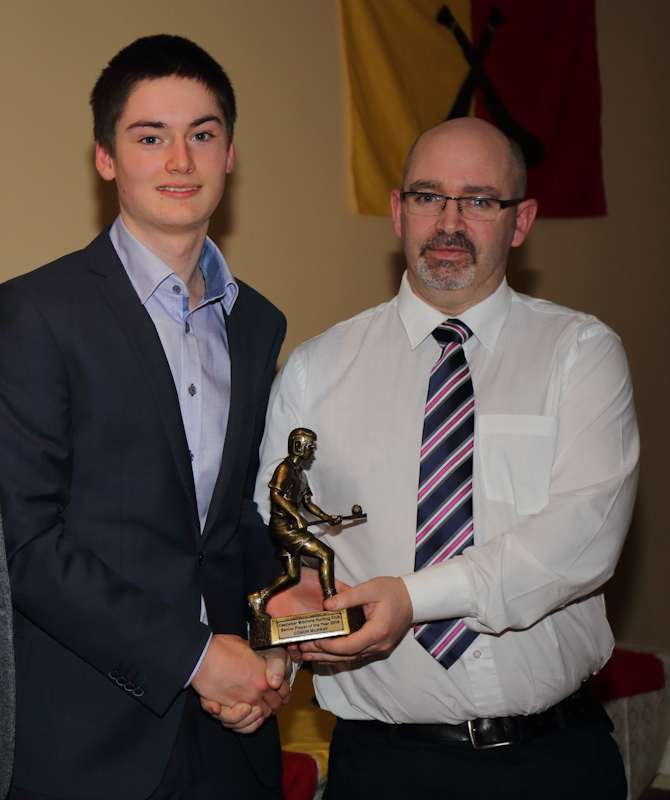 Darren Greaney presenting Conor Murray with his Player of the Year Award. 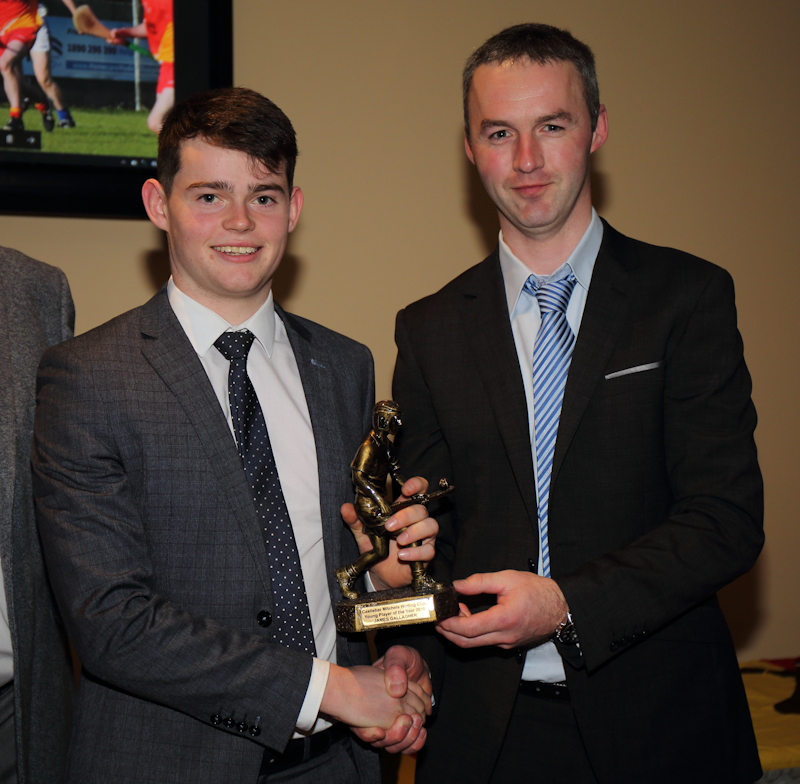 James Bateman presenting James Gallagher with Young player of the Year Award. 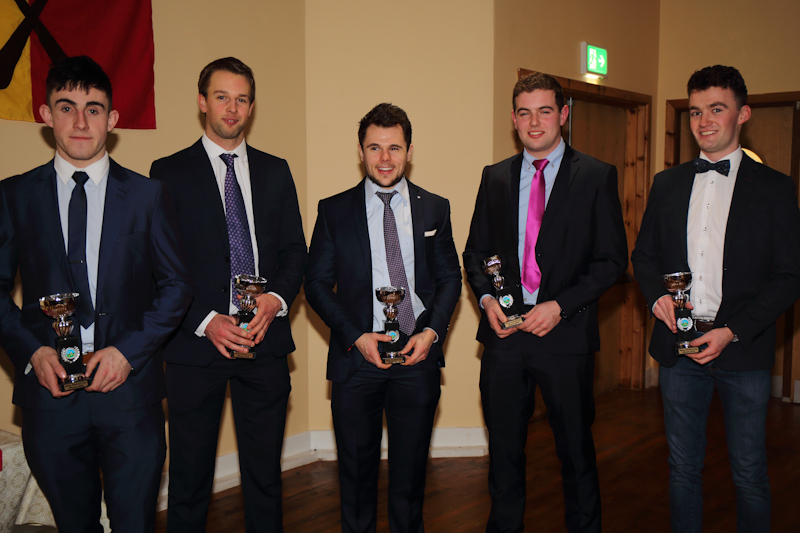 Our Five Nicky Racked Cup Winners: Corey Scahill, Andrew Butler, Darren McTigue, John Cotter, Sean Mulroy.